Senior Broker at Urban Real Estate, Matt Silver, recently represented Chicago Bulls guard, Derrick Rose, in the purchase of a condo at the Trump International Hotel and Tower. 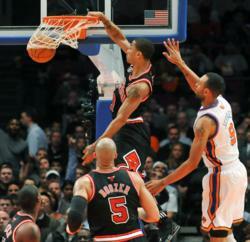 Derrick Rose really embodies the spirit of Chicago with his humility, incredible work ethic, and genuineness. Everything for him is about his city and about his family, and I found that remarkable. Chicago based Urban Real Estate is a boutique residential real estate firm specializing in luxury condominiums, executive relocations, and investor representation.